You’ve come to rely on your Chrysler, Dodge, Jeep or Ram to get you from point A to point B in a safe and comfortable (sometimes adventurous) way. So what happens when that changes? What happens when you feel the gears start to slip, or when they simply resist shifting? What happens when you experience surging, delayed or inconsistent movement? All of these are signs that your Chrysler, Dodge, Jeep or Ram is nearing or past due for its routine Transmission Fluid Exchange Service. During your Transmission Fluid Exchange Service at Gregg Young, Chrysler Dodge Jeep Ram of Plattsmouth, one of our Factory Trained Technicians will inspect your transmission’s lines and fluid to check for leaks or any obstructions that may have built up in your vehicle. Then, they will drain your transmission fluid, cleaning away all the debris, residue, and contaminants. Once your transmission lines are cleaned, we will replace the old fluid with clean, high-quality Genuine OEM transmission fluid and filter. Your vehicle’s transmission life cycle will be drastically improved. By the simple act of getting your Chrysler, Dodge, Jeep or Ram’s Transmission Fluid Exchange Service done by a Factory Trained Technician, you are ensuring that a thorough inspection will be done to your vehicle. However, by putting off Scheduling this service, you run the risk of incredibly costly repairs and potential failure of the internal clutches and friction plates, valve body, and solenoids. 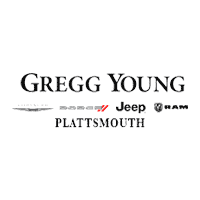 When you choose Gregg Young Chrysler Dodge Jeep Ram of Plattsmouth for your service needs, you are not only choosing genuine, OEM parts with every service, but also a service center that is truly committed. While you wait for your vehicle to be serviced, you can connect to our complimentary WiFi, enjoy our coffee and beverage bar, or pick up any one of our magazine or newspaper subscriptions. We look forward to showing you the Gregg Young Difference!